Welcome to A-Plan, Farnborough, your nearest branch. 232 Farnborough Road, Farnborough, GU14 7JR mile away. 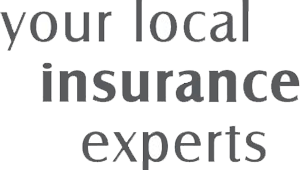 As your local insurance broker, A-Plan Farnborough has been serving clients in your area for many years. We have specialist facilities for private car, home & contents and commercial vehicle insurance. John Shelton opened Shelton's in the January 1960 following careers at Lloyds and Minster as an insurance underwriter. John was so highly thought of by Minster that they even allowed him to go part-time whilst setting up Shelton's as long as, under a gentleman's agreement, he placed business with them when he was up and running, a relationship that still exists today. John was a bit of a character (clients still tell us the stories) and he soon built up a solid reputation for providing top quality insurance at the right price all backed up by a personal service right on your doorstep. These values, that we still hold true today, are what led to the purchase of Shelton's from John in 1987. We continued to trade under the Shelton's name until September 2012. A-Plan was fast approaching its 50th birthday and since Shelton's was A-Plan in all but name we felt the timing was right to make the change. We look forward to the next 50 years with a focus on private car (ask for Craig or Ryan), home and contents (ask for Shane or Chris), and commercial van insurance (ask for Stuart). We have an in-house claims manager, Tom, who ensures that you get the dedicated support you need in the unfortunate event of a claim. We have sponsored local schools, sports teams and events and we are currently helping the Phyllis Tuckwell Hospice in a number of different ways. Your Farnborough Branch Manager. Get the right cover at a great price! Put our local team to the test to see how we can help you.